"Suffolk County officials say average installation costs of the innovative and advanced systems run $19,200. Builders, installers and engineers said the price tag can be as high as $25,000 to $30,000 for some houses where soil composition and other site conditions might make the work difficult. 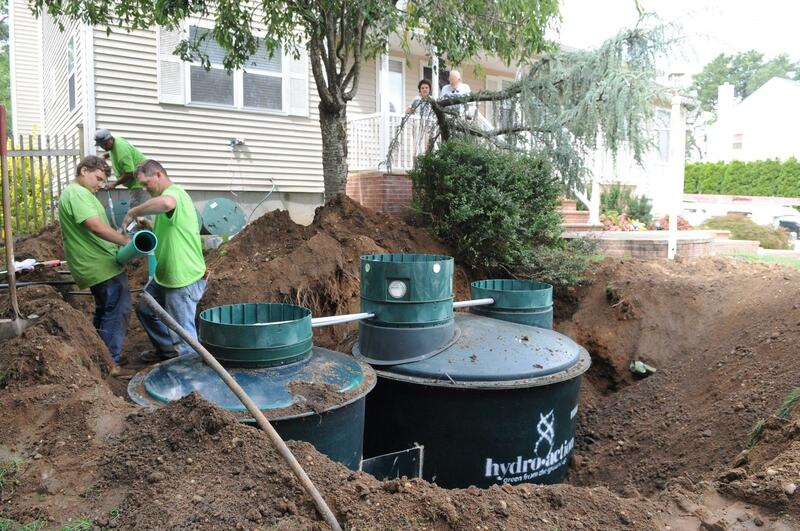 That’s compared to about $5,000 to $10,000 to install a traditional septic tank and cesspool, installers said, and as little as $2,000 for a cesspool alone. In addition to upfront costs and maintenance, the advanced systems also have electrical components that add to utility bills. In general, the first three years of maintenance costs are included by manufacturers in the installation price. But after that, residents will be required to have an annual contract that will cost between $250 to $300 a year, according to the county." "An ambitious 1967 plan had sewers crossing from the South Shore of western Suffolk to Huntington, Smithtown and Commack. Voters rejected it 6 to 1." "And by the time elected leaders started discussing the topic again, the federal government, which along with the state paid for 87.5 percent of the costs of the Southwest Sewer District, stopped regularly funding sewer projects." How long before Bellony Boy and his Gaggle of Bozos pass along a tax to everyone to help the low income homeowners who can't afford not only their house but a new craptank. Ugh...had that for 6 days with Irma...pump stations didn't work. Not a pretty site for people without shower drainplugs. Hi. I'm Larry. This is my brother Darrell...and this is my other brother Darrell. I can tell you that this is 100% not required for new construction in Suffolk. I'm sure it will be but as of today it is not. If I owned a home in Suffolk I would keep my old system for ever and just pay to have it repaired and if companies wouldn't do it, I would find some out of state guy that would. Money talks and a 2k repair that lasts 10 years is better than 20k and utility costs. I've lived in Nassau County my whole life. Someone tell me again why sewers aren't a possibility?